Some things in life seem like you can never have enough of them: time, money, bandwidth. For tech fans who are out there living the mobile lifestyle, “power” has got to be up at the top of that list. Phone hardware's in a constant tug-of-war with itself, balancing advancements in power-efficient components against our desire for bigger and brighter screens or thinner and lighter handsets. And while we see hints of progress here and there, many of us still end up keeping our fingers crossed that we'll make it through the day without running our batteries down to zero. Even if our gadgets themselves aren't always up to the task of storing all the power we demand from them, there's a vibrant accessory market of external power packs looking to give our gear a much-appreciated battery top-up while still out on the go. These vary from pocket-sized to those that look (and feel) more like a car battery than a mobile device, with battery capacity and feature sets running the gamut. Anker's portable chargers tend to look pretty similar: the lipstick-tube ones notwithstanding, we're looking at a rectangular solid with curved edges around its long sides. On one end we've got our ports: one standard-A and one USB Type-C, and on the other end you'll find all the battery pack's ratings and certifications in tiny print. Your only real interaction with the PowerCore Speed comes up near the port-end of the battery, where a side-mounted button allows you to check remaining capacity, indicated via a series of four blue LEDs on the pack's face. The power bank's surface is a nondescript matte black plastic all over, and the unit measures about ¾-inch thick, a little under 2-½ inches wide, and just over 6-½ inches long. The whole thing's got a good amount of heft to it, weighing 371.2 g, or about 13 ounces. While you probably could get away with carrying the PowerCore Speed in your pocket, between the thickness and its weight, that may not be the most comfortable idea, and you'll resent the charger a lot less if you just find room for it in your bag. As you can probably tell from the product's name, we're looking at a power bank in the 20,000mAh range – and here, it's slightly over at 20,100mAh. We are living in an increasingly USB Type-C world, and the PowerCore Speed is absolutely designed to fit right in. Its Type-C port does double-duty as both power input and output, helping to simplify the unit's design. The unit supports up to 22.5W output, meaning it's not going to have any trouble at all powering something like your phone. If your handset supports USB Power Delivery, you're already in great shape, with the phone able to communicate its power needs directly with the power bank through its USB Type-C port. Since not every single phone is USB PD-compatible, the PowerCore Speed has a great fall-back in the form of its PowerIQ system. While this isn't formally the a Qualcomm Quick Charge device, it works along the same lines and optimizes power output to recharge devices as quickly as it can. For example, using Samsung's included fast charger with the Galaxy S8, the phone recharges in about one hour, forty minutes. Using the Anker pack, the phone took one hour, forty-five minutes to recharge – a negligible difference. Keep in mind, though, that even if your phone can take advantage of USB Power Delivery, you may need some extra hardware to tap into it. Last year's iPhones are ready to be used fast-charged with this battery pack, but you'll want to grab a USB Type-C to Lightning cable first. The PowerCore Speed power bank isn't just for phones and tablets, and its USB Power Delivery output is beefy enough that it may be able to recharge your USB Type-C equipped laptop. 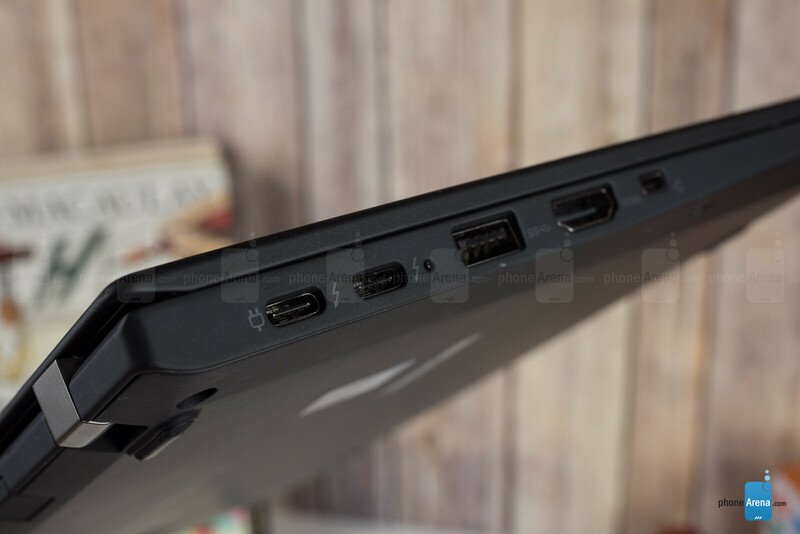 Now, this is going to depend heavily on what laptop we're talking about – and keep in mind that just because your laptop uses USB Type-C for power delivery doesn't guarantee that it will fully work here. What you want is a laptop whose power demands fall on the lower end of the spectrum. Anker specifically points to MacBooks as being compatible, but the Lenovo laptop we had on hand (which uses a 45W USB Type-C adapter) wasn't able to charge at full speed. If you're really counting on using this power pack with both your phone and your laptop, make sure you check in advance on your notebook's power requirements. Considering that recharging a laptop can exhaust the PowerCore's battery reserves all in one go, though, sticking with smaller gadgets can be smart, too – especially if you're going to be going for a while between having access to an outlet. Speaking of that, this unit isn't just rated to discharge in a high-power mode; it also supports recharging itself at an accelerated pace. 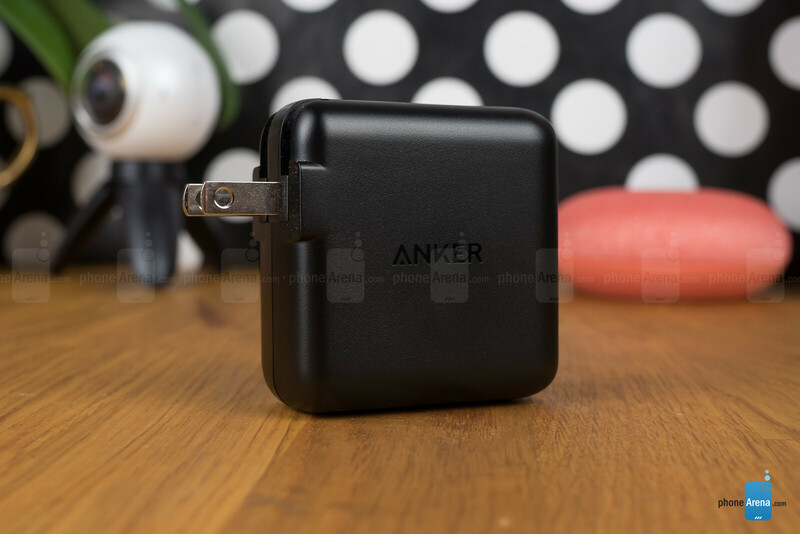 Anker ships the PowerCore Speed with a 30W wall adapter. That means that even with its big 20,100mAh battery, maybe six or seven times the capacity of the battery in your phone, this power bank can recharge in just about four hours – not bad at all. 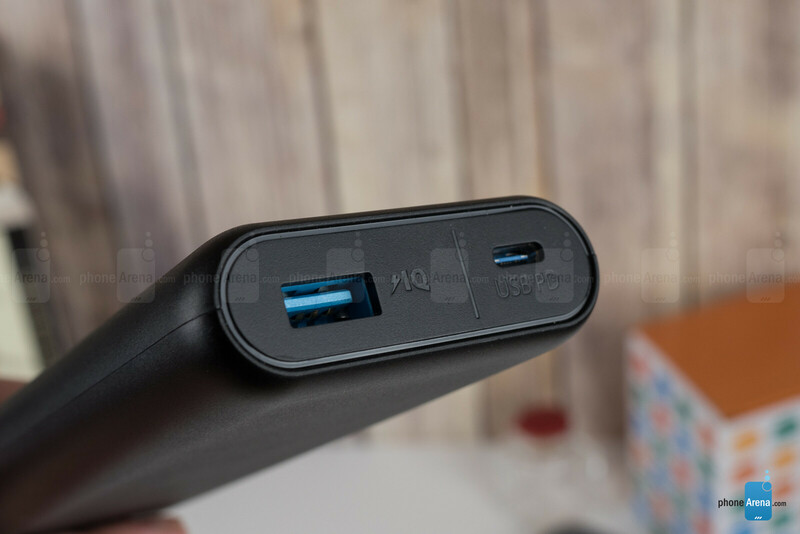 Anker's put together one well-rounded battery pack here, and its USB Power Delivery support helps elevate it above simpler solutions that mainly focus on juicing-up your phone, and wholly ignore larger devices like your laptop. It carries a decent amount of charge, is able to deliver that power quickly and conveniently, and maybe best of all it recharges at a very brisk pace. In fact, there's not a lot we don't like about the functionality of the PowerCore Speed 20000 PD. But it's still not going to be for everyone. The price is a bit of a turn-off, with the power bank selling for just about $100. You can pick up any number of QuickCharge 3.0 20,000mAh battery packs for less than a third of that price, so you're paying a hefty premium for these USB Power Delivery features. In order to get the most out of this unit, you're going to want to pair it with a laptop that can take full advantage of USB PD – otherwise, it's hard to justify that purchase price. And as we noted earlier, just because your laptop charges over USB doesn't mean it's going to play nicely with the PowerCore, so be sure you check your laptop's power draw before picking this accessory up. But if you're a mobile warrior with the right hardware to take advantage of the PowerCore Speed 20000 PD power bank, and you're craving the convenience of being able to not just top-off your phone, but also your laptop without being anywhere near an outlet, then Anker's solution can make a lot of sense. We'd still love to see the price drop quite a bit, but even at $100 there's a good amount of value here. I would definitely recommend this to anyone looking for a beast of a power bank. I bought one for my sister when I was in Vegas, and on my way back home, I charged my old S8+ twice and my Sony XB950 once, and it was still flashing 3 out of 4 leds. I agree. My brother bought this and it’s definitely a beast. is this better than MI 20000 power bank??? ?